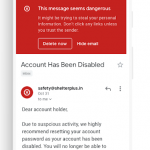 On January 29, 2019, Google announced design enhancements to the Gmail mobile application. The changes complement the recent redesign of core G Suite applications, including Gmail, Calendar, Drive, and Docs. Android and iOs mobile apps will update to the new design within the next two weeks. There are several enhancements that greatly improve the Gmail-user experience. The mobile app uses color more deliberately. 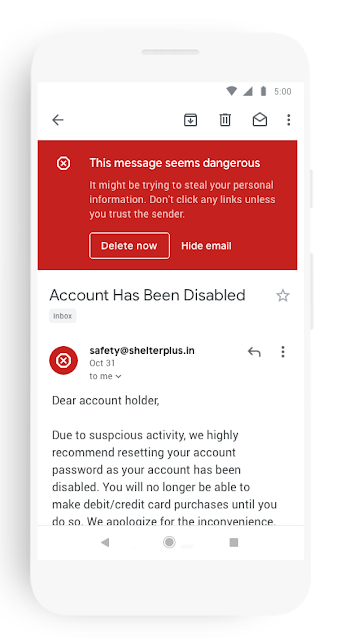 Warning messages that identify potentially dangerous emails are more prominent. Attachments are easier to view. 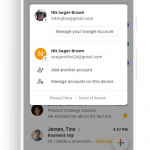 Additionally, the redesign improves the ability to toggle among Gmail accounts. 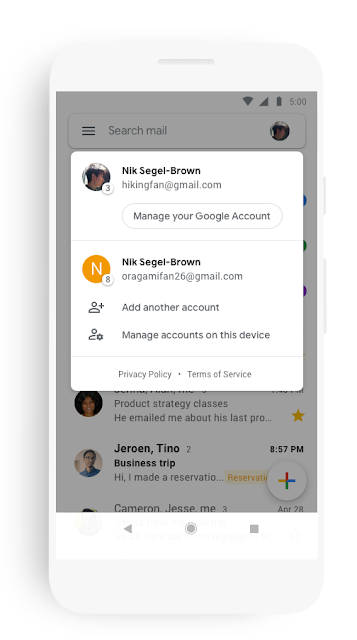 To learn more about the changes to the Gmail mobile app, see the G Suite Updates Blog: A new look and feel for Gmail on mobile.